TRMK - Mortal Kombat News - Could WB Games Chicago get a Mortal Kombat Rebranding? Could WB Games Chicago get a Mortal Kombat Rebranding? One thing that always puzzled me since the acquisition of Midway Games by WB Games is that the Chicago studio, home of the Mortal Kombat team, was the only studio to not have some official name and website to call home beyond the generic WB Games Chicago title. The other Midway studio that Warners purchased in Seattle retook it's old name of Surreal Software. 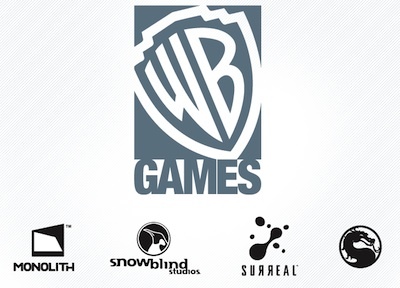 As well the two other studios that Warners purchased that were not part of Midway also retain their old names: Snowblind Studios and Monolith Productions. Most development teams have some form of official name across the industry, and beyond being called "The MK Team" they haven't had some official title. Then today I noticed a new website that went up recently, WBGamesJobs.com. What I found interesting was that it features the Mortal Kombat Dragon logo promiently on the page along with the other studio logos. Also of note is that all the job listings on the site name the studios the listing belongs to, with exception for Chicago which say "WB Games in Chicago." Could this mean the WB Games Chicago studio will be getting a new name of it's own related to Mortal Kombat? My guess is something along the lines of Mortal Kombat Studios. Could they also get a website similar to the other studios to go along with the name for all game announcements and news? I haven't yet been able to find any signs or recently registered domain names that point us to the possible studio name. All I know the "Kommunity" would love to have one central place to call home, since the Threshold Entertainment owned MortalKombat.com has been inactive for close to a decade. Another far fetched option to rebrand them Midway Games. Warner Bros does own the now defunct midway.com domain but it's unlikely the Chicago studio would adopt this title as they didn't purchase the "Midway Games" naming rights in the purchase of the Chicago studio. Unless they pick up the name as part of Midway's final liquidation is complete. But the Midway logos were removed from the studio's walls at the end of August 2009, it would have been a waste of money to have to put it all back up now. But it would allow the Midway legacy to continue. I have a feeling that they will ge a real name soon, Mortal Kombat related or not, as the hype machine for Mortal Kombat 9 should be starting up soon to meet the targeted Christmas 2010 release date. This is interesting to consider. Though, the team never had a name back when they were working for Midway either. I never noticed it then and I didn't really notice it now until you pointed it out. Truly I've been hoping for a while that the MK Team gets cycled out slowly until there's all new faces...because I'm not terribly fond of the rut their in. And if you give the team a name that means they're more likely to stay the same team over the years. This is interesting to consider. Though, the team never had a name back when they were working for Midway either. I never noticed it then and I didn't really notice it now until you pointed it out. Truly I've been hoping for a while that the MK Team gets cycled out slowly until there's all new faces...because I'm not terribly fond of the rut [b}they're[/b] in. And if you give the team a name that means they're more likely to stay the same team over the years. Glamador= a very intelligent poster but you harped in me for the Sonya post. So long as the name isn't "Go team Retard" its little much to it. They've alwyas been the "Mk team" to me or "Mk dudes" for fun. I joined WB Games fan page on Facebook and they posted about The Bachelor - The Video Game, seriously, could be team retard that made that one. How about Bloody Good Games or something silly like that?